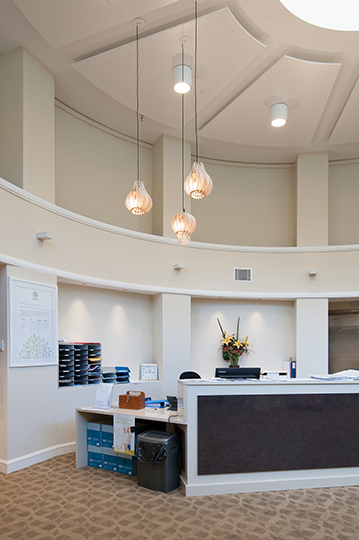 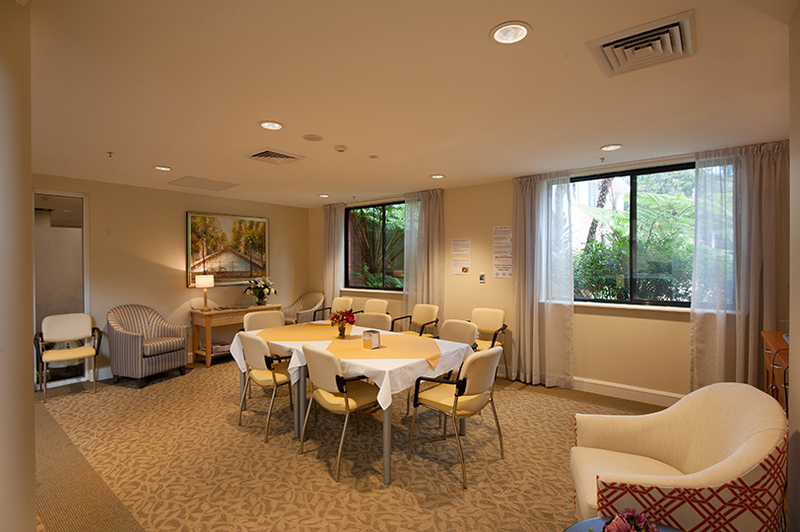 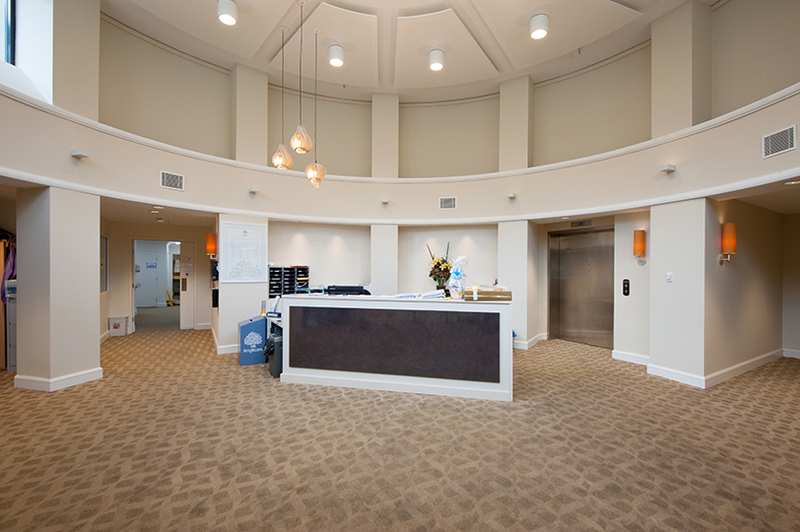 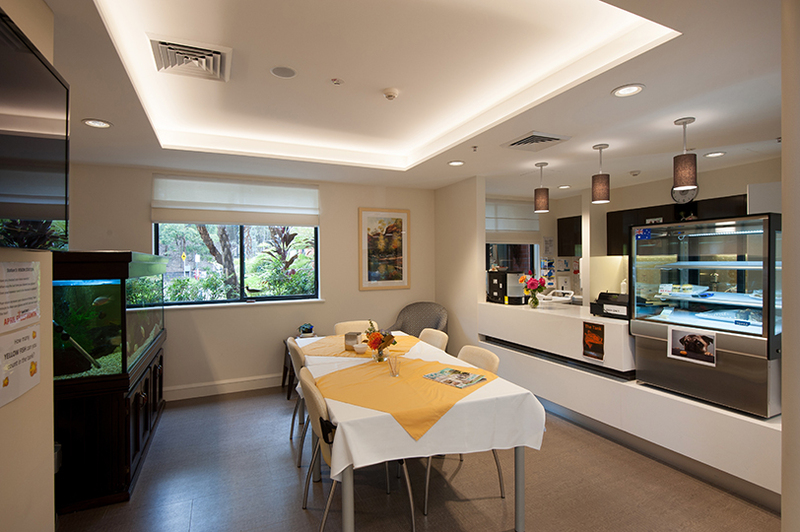 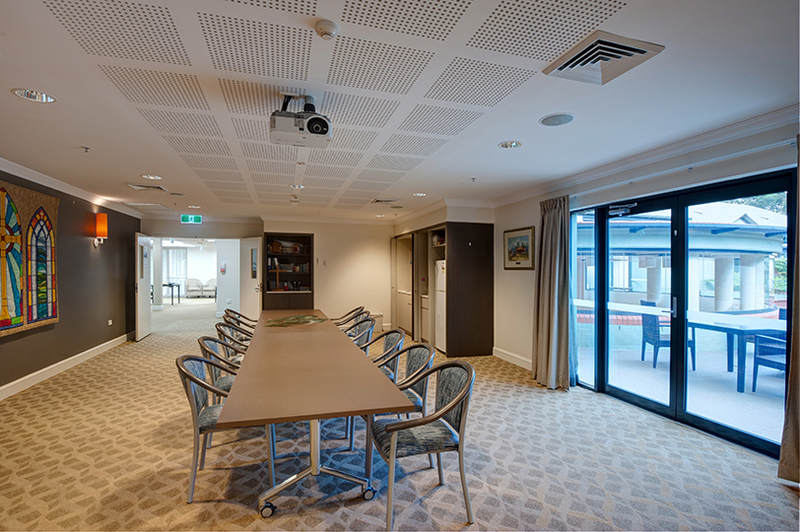 Grindley Interiors was engaged by Anglicare (formerly Anglican Retirement Village) to complete the refurbishment of The Donald Coburn Centre in Castle Hill. 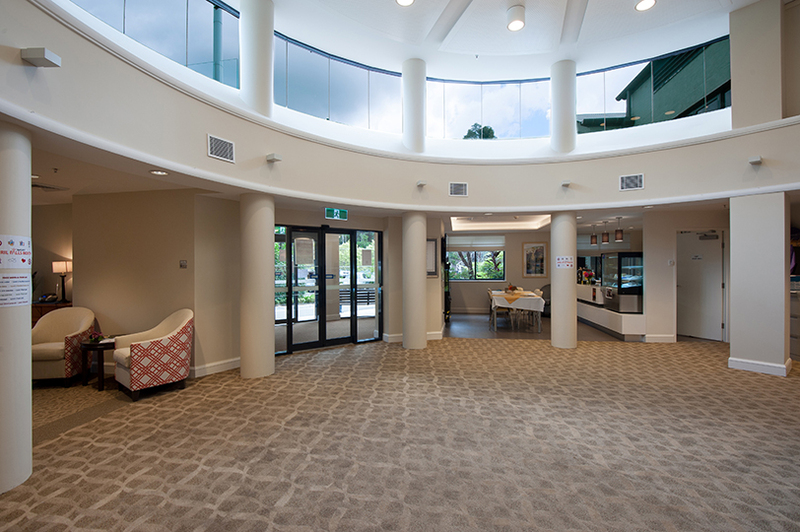 The Donald Coburn Centre is a three storey building of masonry construction with four residential wings, arranged around a central hub inclusive of offices, dining areas and reception. 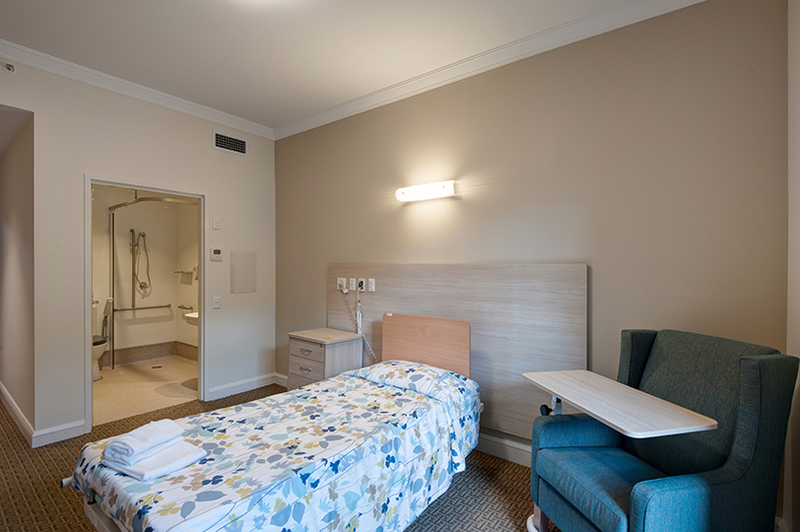 Works proceeded with stripping all internal finishes such as flooring, ceilings, wall linings, lighting, mechanical services and the like leaving an empty shell ready to commence fitout. 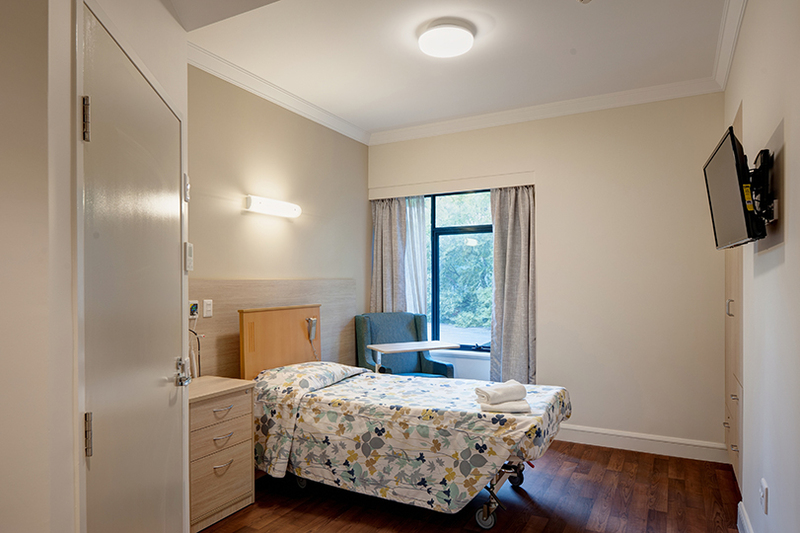 New services were provided throughout, including mechanical ventilation, communications and nurse call points, dry fire and wet fire modifications to suit the new layout and new lighting throughout. 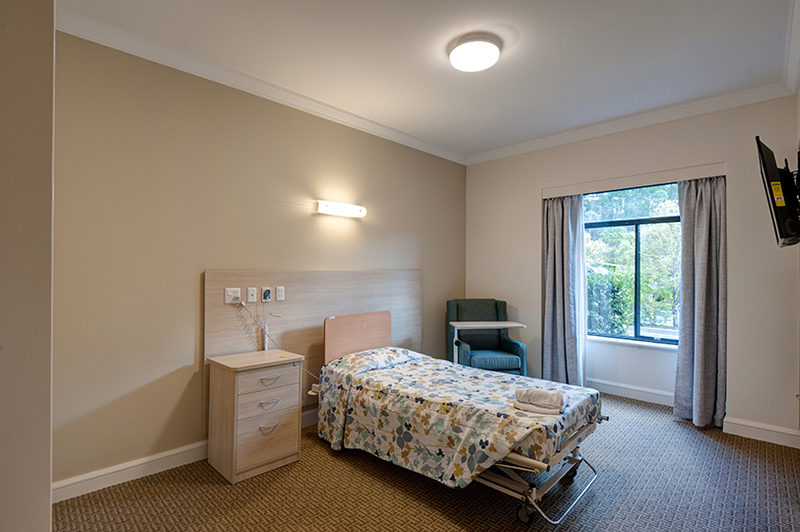 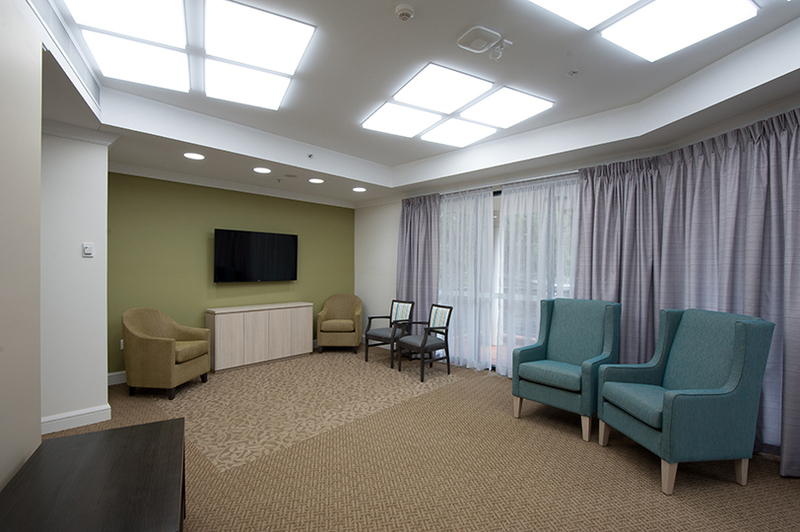 Specialist circadian lighting was installed in the bedrooms enhancing the level of care for residents with Dementia. 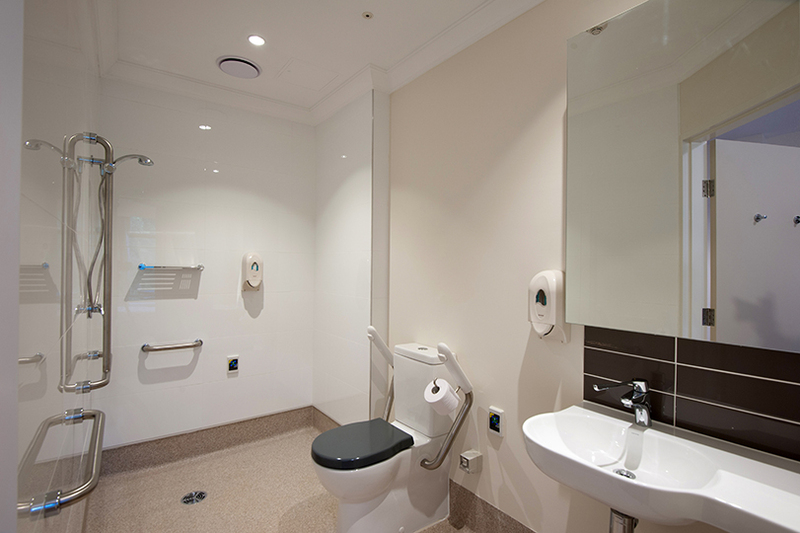 A major component of the refurbishment involved removing shared bathrooms and providing each bedroom a private ensuite. 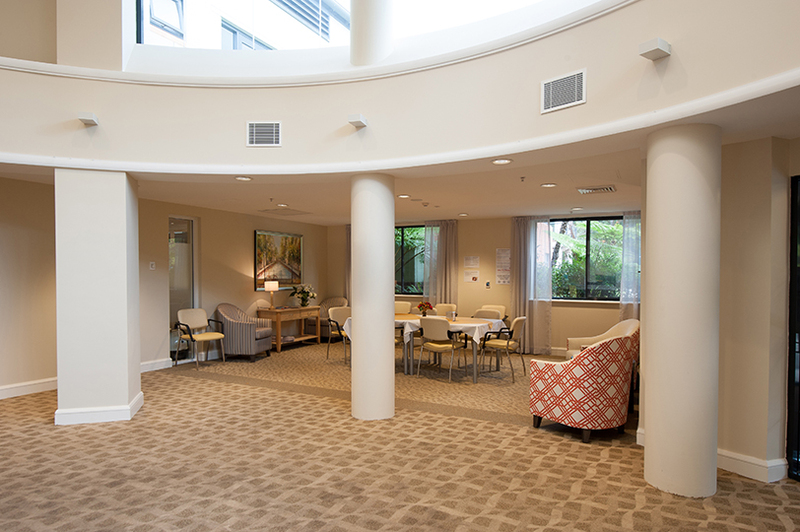 For this to occur, the existing structure was propped, existing masonry walls were removed and replaced with steel columns to support the structure and new light weight walls were installed to provide space for the additional bathrooms. 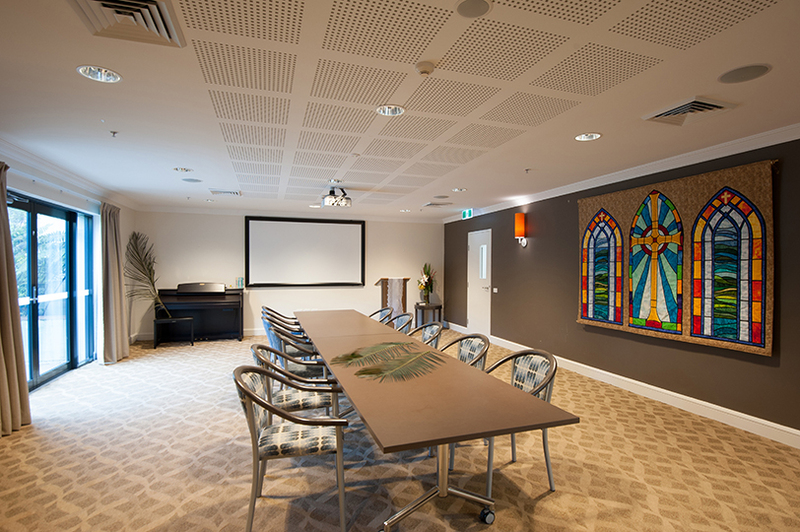 New floor finishes were installed throughout, walls were relined, new set plasterboard ceilings were installed and joinery was provided throughout all rooms and common areas. 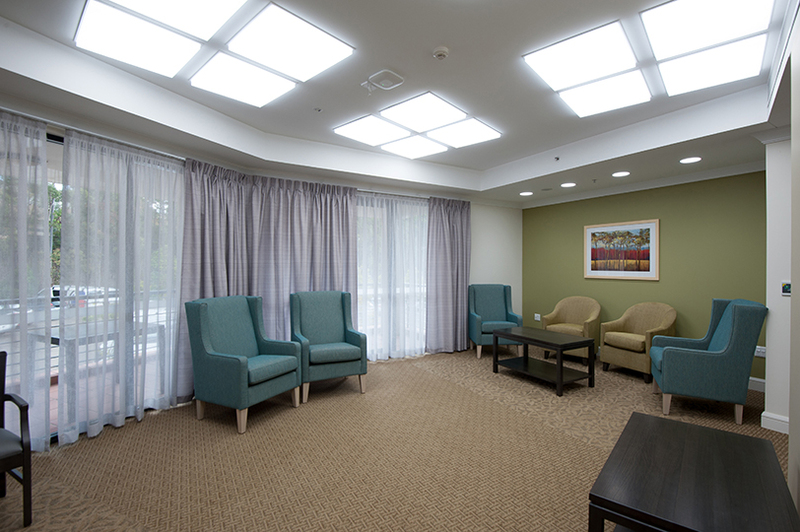 Light weight glazed partitions were also installed to create the hairdresser, physiotherapy rooms and office spaces. 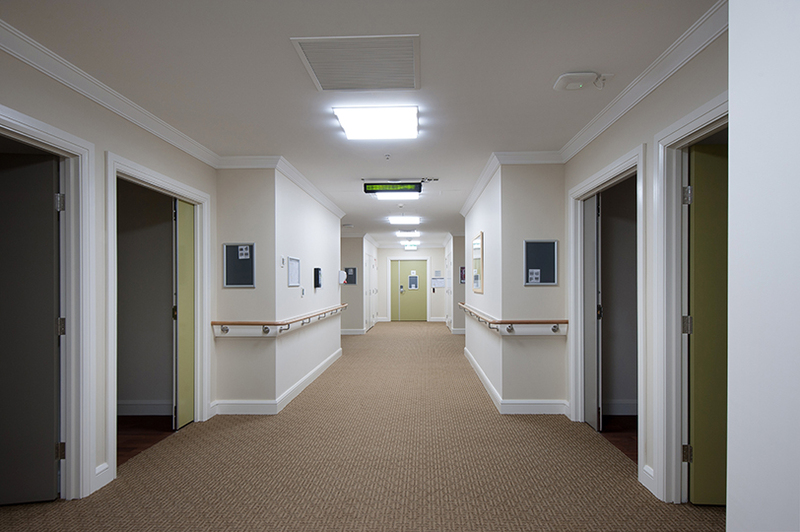 Two existing lifts were refurbished and a third lift shaft was installed to help service the building.